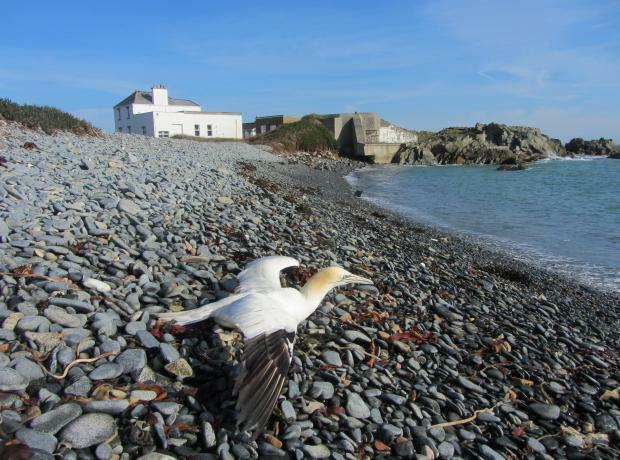 On Monday after 6 weeks of intensive care a gannet that was rescued by Animal Collection Officer Geoff George covered in oil and very sick was released back to the wild. John as he was named, was rescued from St Peter Port harbour and was in such bad condition on entry that without the expertise and care of the Shelter team he would certainly have died in the wild. The GSPCA has had one of the busiest starts to any year with the wild weather which killed thousands of seabirds and injured many more.